Evolution's Arrow argues that evolution is directional and progressive, and that this has major consequences for humanity. Without resort to teleology, the book demonstrates that evolution moves in the direction of producing cooperative organisations of greater scale and evolvability - evolution has organised molecular processes into cells, cells into organisms, and organisms into societies. The book founds this position on a new theory of the evolution of cooperation. It shows that self-interest at the level of the genes does not prevent cooperation from increasing as evolution unfolds. Evolution progresses by discovering ways to build cooperative organisations out of self-interested individuals. The book also shows that evolution itself has evolved. Evolution has progressively improved the ability of evolutionary mechanisms to discover effective adaptations. And it has produced new and better mechanisms. Evolution's Arrow uses this understanding of the direction of evolution to identify the next great steps in the evolution of life on earth - the steps that humanity must take if we are to continue to be successful in evolutionary terms. A key step for humanity is to increase the scale and evolvability of our societies, eventually forming a unified and cooperative society on the scale of the planet. We must also transform ourselves psychologically to become self-evolving organisms - organisms that are able to escape their biological and cultural past by adapting in whatever directions are necessary to achieve future evolutionary success. The international journal Complexity published a favorable review of Evolution's Arrow in an article that also deals with five other books concerned with the evolution of new levels of complexity. The review identifies how the theory of the evolution of cooperation developed in Evolution's Arrow goes beyond the approach taken by Maynard Smith and Szathmary in their book The Major Transitions in Evolution. The review can be found here. 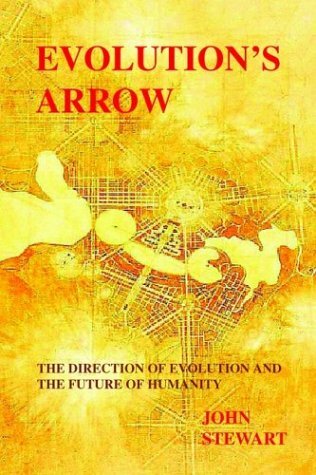 A review of Evolution’s Arrow published in the August-October 2004 issue of the magazine What is Enlightenment? said: “Evolution’s Arrow is, quite simply, both mind-expanding and confidence-building. By inviting us to trust the deep patterns of evolution’s past, it opens the future to undreamed-of spiritual and social transformation.” The full review is here. An Amazon.com review by Copthorne Macdonald, the Canadian author of the book Matters of Consequence and of a number of other important works, states that “I can here only hint at the insightful gold that resides between the covers of Evolution's Arrow. Whether your interest is a clearer understanding of evolution, or saving evolution's experiment here on earth from today's human mis-management, get and read this book.” The full review is here. The Evolutionary Manifesto is a 34 page overview of the evolutionary worldview presented in Evolution's Arrow. The Manifesto uses this science-based worldview to address the big existential questions that face humanity: Where do we come from? What are we? Where are we going to? What should we do with our lives? An easy-to-print and easy-to-circulate PDF version of the Manifesto is here.